Breathtaking. Scenic. Gorgeous. 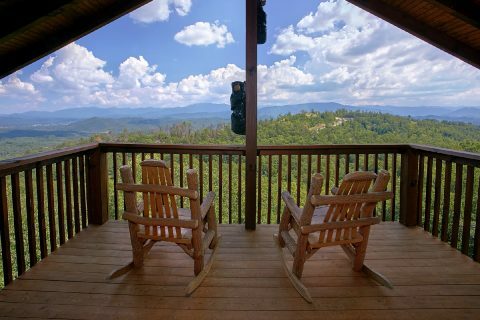 These are some of the words to describe the mountain-top views from "Lasting Impression," a secluded, luxury cabin rental in Pigeon Forge, TN. 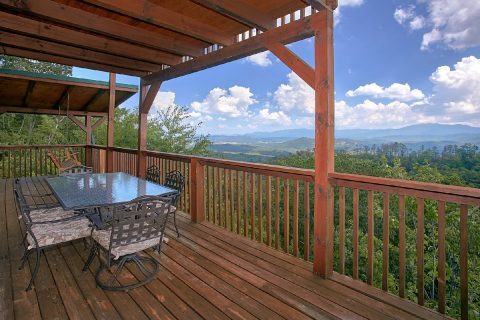 From this hand-picked mountain-top location, you can truly see for miles and miles. 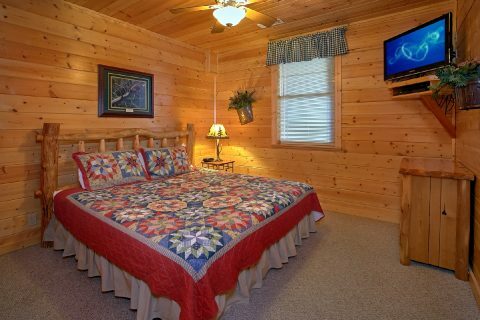 Better yet, you can enjoy a stay in a luxury 3-bedroom cabin with room for up to 10 guests. 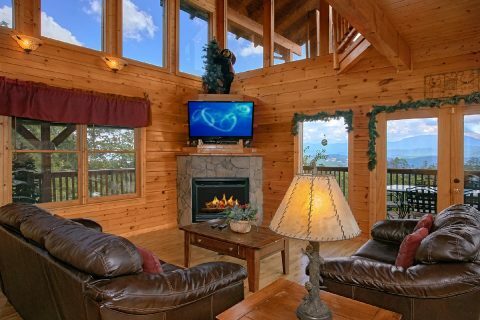 Bring your family and friends to a premium log cabin in the Smoky Mountains that's bound to make an impression. 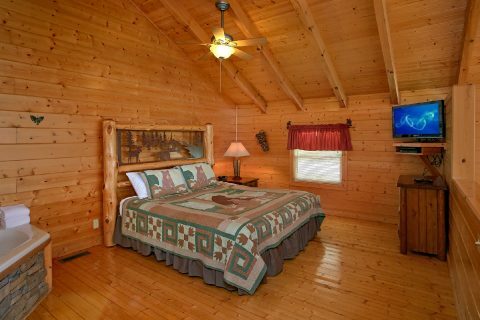 As soon as you enter the main level of your cabin, you'll be struck by the craftsmanship and custom details that make this cabin so memorable. 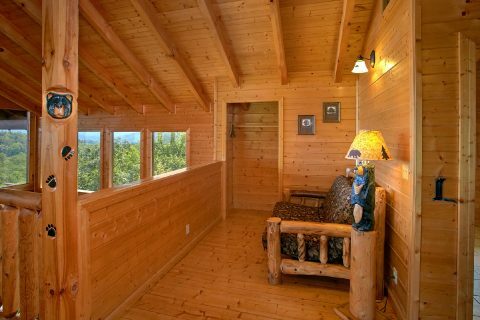 From the tall, arched ceilings to the large picture windows that showcase this cabin's beautiful views, there's plenty to enjoy about this log cabin. 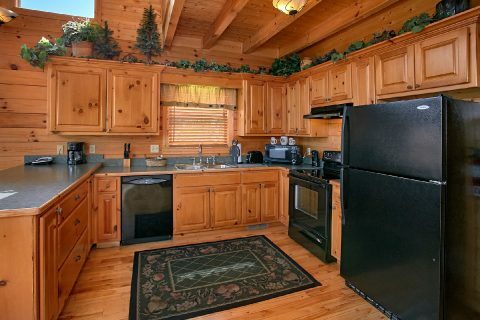 In the main living area, you'll find comfortable features like a stone gas fireplace, flat-screen television, and comfortable leather furnishings. 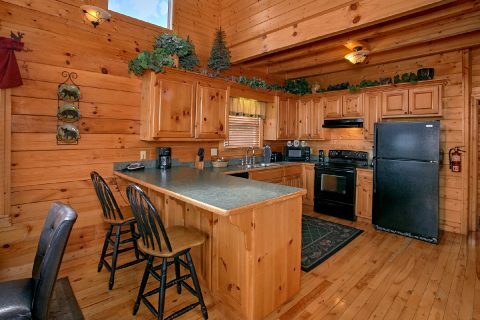 Nearby, your cabin's full kitchen comes complete with sleek appliances and a breakfast bar with seating for two. 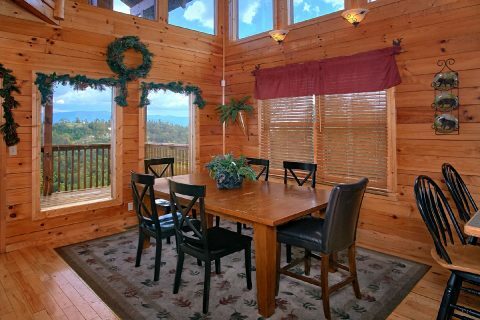 The dining table with seating for 6 makes a great spot for everyone to gather around for delicious meals fresh from the kitchen or hot off the charcoal grill. 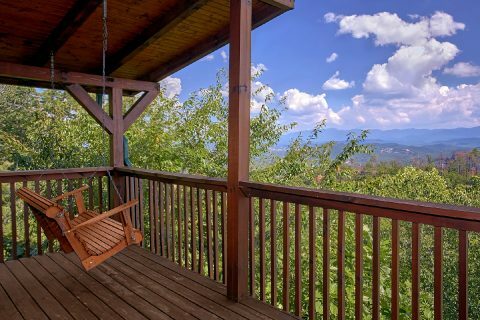 From this level, you can access a lovely wrap-around, covered deck with a porch swing – a perfect spot for enjoying the mountain views. 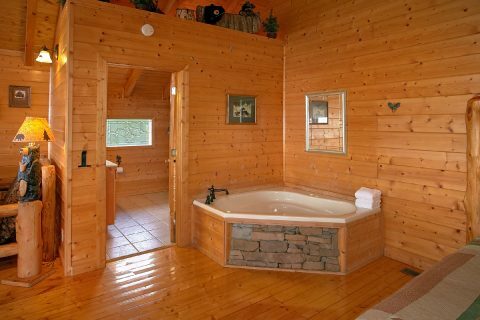 The main floor is also home to a king-size bedroom with access to a bath with a relaxing jacuzzi tub. 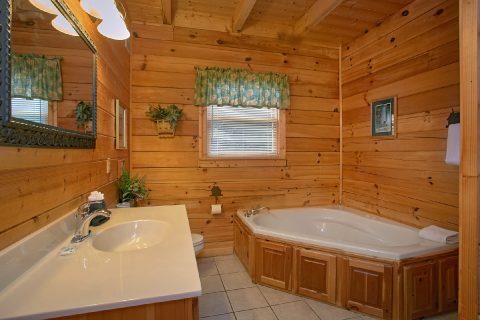 Upstairs, you'll find one of this cabin's most impressive features. 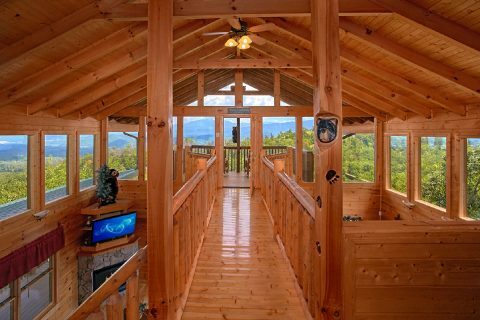 A beautiful raised walkway extends to a private balcony just above the living area. 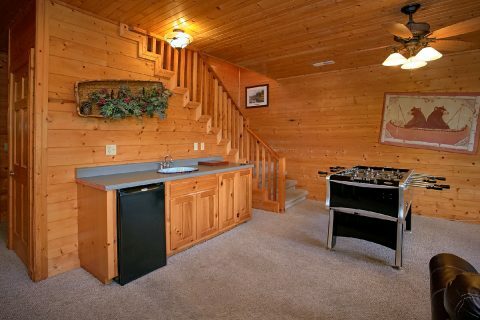 This open loft area is home to a king-size bedroom. 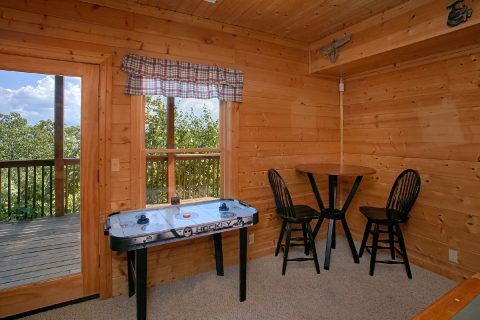 Downstairs, fun and friendly competition wait in the game room. 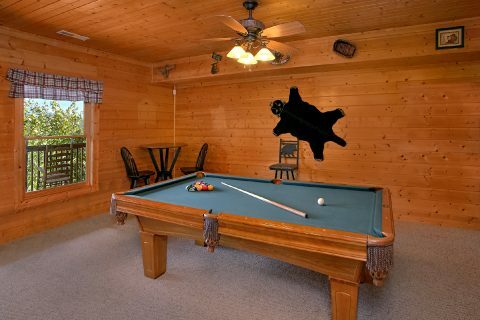 Here, you'll find a pool table and foosball that provide hours of entertainment and a great backup plan on a rainy day. 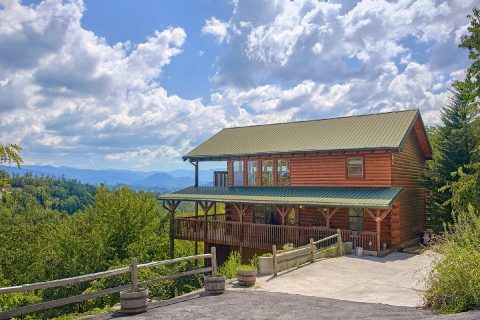 Additionally, there's a large television, comfortable furnishings, and a wet bar for preparing snacks and refreshing drinks. 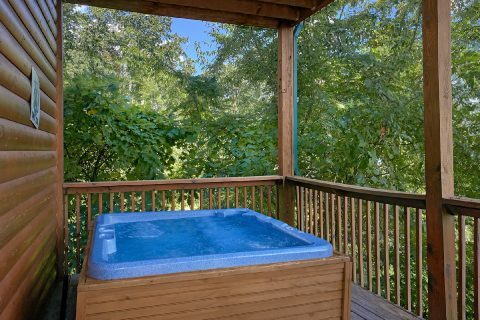 On this floor, there's also access to a deck that features your rental's hot tub. 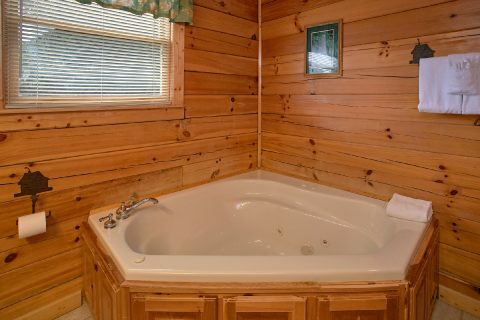 Your cabin's 3rd king bedroom is on this level. 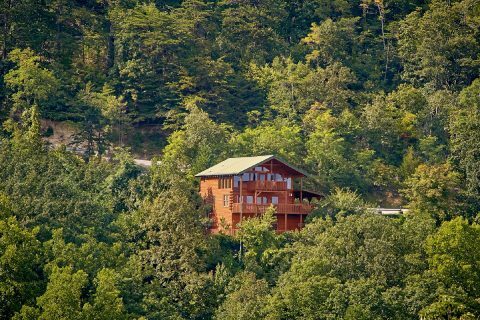 Altogether, this luxury cabin boasts 3 king-size bedrooms complete with flat-screen televisions. 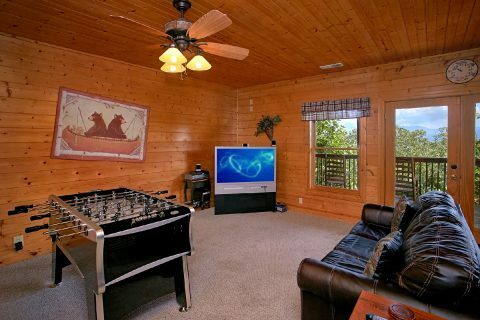 For extra sleeping space, "Lasting Impression" provides sleeper sofas in the living area and the game room. 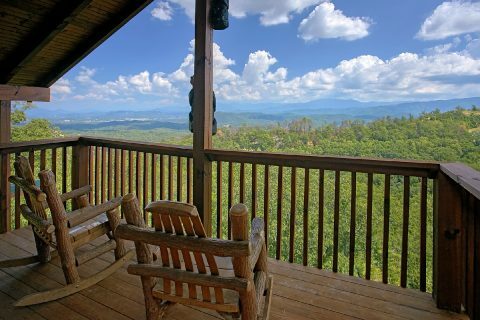 When you aren't unwinding and enjoying this cabin's beautiful view, you can easily explore the top attractions in the Smoky Mountains in nearby Pigeon Forge and Gatlinburg. 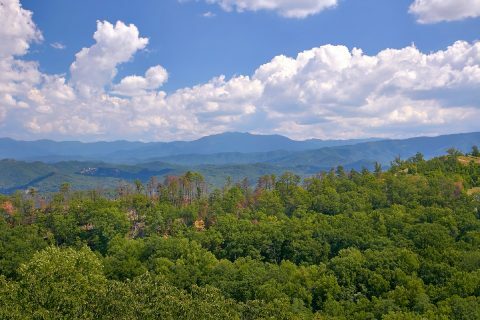 Major attractions like Dollywood and The Aquarium of the Smokies are only a short drive away. 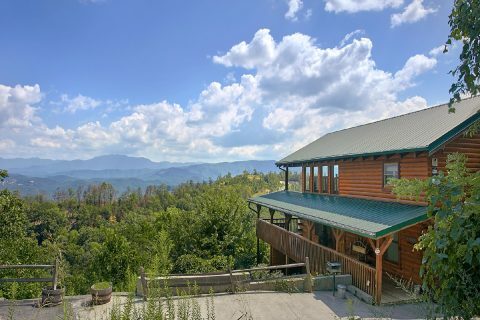 By taking lovely country roads to Wears Valley, guests of this rental can easily reach several entrances to the Great Smoky Mountains National Park. When you book this luxury cabin with superb mountain views, you won't have to pay a luxury cabin price when you book online with Cabins USA! Book online today to save 15% on your nightly rate when you stay in "Lasting Impression."